Tesoro are growing in identity and reputation when it comes to good quality gaming peripherals. Having stamped their unique style and branding based on legendary weapons and armour, you can see that their source inspiration serves as a passion for standing out, an important criteria in this market. The Lobera Spectrum, may not be good for slaying real wolves, but it comes as a full 16.8M colour per-key backlit mechanical gaming keyboard with fully customisable key remapping and per-key customisable lighting. As we have previously sampled the Lobera Supreme there are some similarities to come such as USB and audio pass-through as well as great aesthetics, though will there be some improvements? with advanced backlighting features. It has a number of stunning illumination modes including audiomode which makes the LEDs flash to the beat. Its highly customizable illumination processor even lets set individual key colors and turn the backlighting on and off for each key. Mechanical key design creates solid tactile feel and rapid response for extreme gamers. High speed USB 2.0 hub with audio jacks offers easy connection for user's favourite portable peripherals. 5 profiles, up to 300 macro keys can be defined by the user. 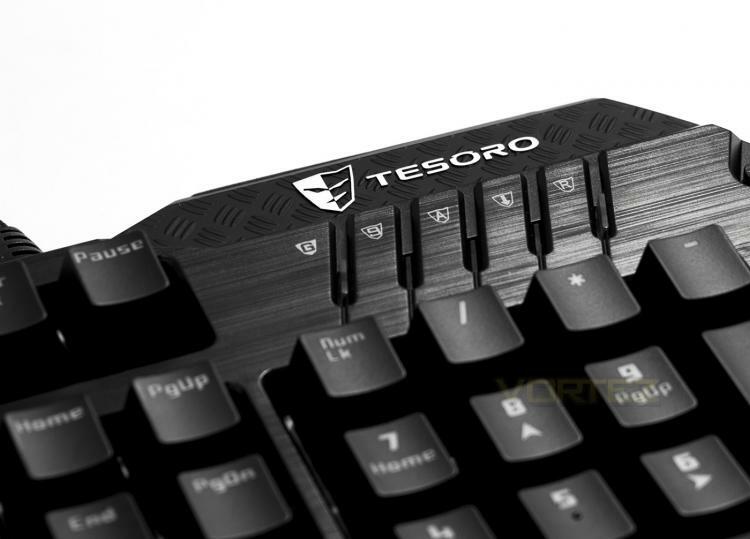 Tesoro Lobera Spectrum is the ultimate choice for gamers.